According to Criticalthinking.org, the key to powerful thinking is powerful questioning. When we ask the right questions, we succeed as a thinker, for questions are the force that powers our thinking. Our era is, perhaps more than any other, a time when it pays to think. A growing number of people, upward of 50% of the workforce by some estimates, are Knowledge workers, defined by Wikipedia as workers whose main capital is knowledge. Typical examples may include software engineers, physicians, pharmacists, architects, engineers, scientists, public accountants, lawyers and academics, whose job is to think for a living. In the information age where habits of thought have significant economic consequences, a trip to any library or book store will reveal shelves upon shelves of books on how to study, learn and think. A Google search on the phrase “how to think better” produced not quite 1.5 billion hits. This discussion is not only for people in the knowledge work business, it is for Knowledgework Professionals, the word professional conveying the idea that the person has acquired the specific skills required for success. Not only student, the world’s apprentice knowledge workers, but highly accomplished professionals with mature careers usually acknowledge that they are always trying to improve how they approach problems and gather information. They are paid to think and create, and they want to keep getting better at it. However, if you are a person who truly believes you are as successful as you will ever be, if you truly believe there is really no room for improvement in your intellectual skills, stop here. Skip this discussion. Throughout history there have been thinkers who truly believed they were endowed with greatness, and there are students and software engineers today who truly believe they have a natural gift for comprehending problems effortlessly. If you think you have a gift and improvement is not only unnecessary but impossible, stop here. If you want to improve but are comfortable “just letting it happen” more or less randomly, as a byproduct of your daily life, you can also stop here, because PerfectCoaches is not about leaving things to chance. Rather, it is a process that enables everyone to set goals for what they want to accomplish intellectually and improve their capacity to meet those goals in an organized way. Asking questions can be great fun. Observe any toddler at play and you’ll see the raw energy that stems from curiosity. Then, of course, once that toddler begins to speak, there is the one question that never goes away: Why? Our brains create curiosity because they are designed to enable us to thrive in our environment. Curiosity is expected of a child, though it can sometimes annoy the adults who deal with it. Rudyard Kipling’s The Elephant’s Child, referenced earlier, an endearing tale of a young elephant who asked question after question. In the life of mature human beings, forces in our daily routines and the culture itself tend to stifle our natural curiosity. Overcoming these forces is important. Curiosity is a gift, perhaps even a right. Indulge it. Ask yourself how and why things happen. Not only is curiosity the first virtue of a scientist, it is the first virtue of an effective member of a complex society. 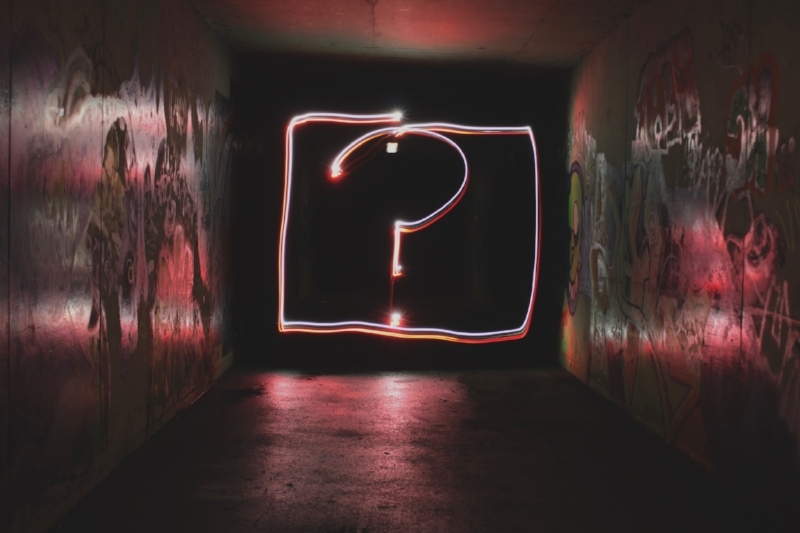 Adopt asking “why?” as a best practice. Ask why often, at least once a day. Whenever possible, try to find the answer. Your brain will be happier, and you will be amazed at how many opportunities and solutions will show up in your life and work. Be creative. Don’t be afraid to ask the question What If? Not only that, try the new ideas that result. As most discussions of leadership emphasize, success often involves some sort of change and innovation. A best practice, even in day-to-day problem-solving, is to overcome the fear of trying a new way to do something. Sure, it may not work. But suppose it does? You’ve made the world work just a little bit better. Asking questions is the gateway to creativity, innovation, and trying new ideas. Innovation is all around us. In many, perhaps all instances, breakthroughs take place because individuals and their teams are creative, they ask questions, and they try new ideas. The biographies of great inventors reveal that each knew how to ask the right questions and find creative answers. Craig Venter’s book A Life Decoded, which deals with his personal role in the sequencing of the human genome, is a dramatic recent telling of the tale. The stories of Thomas Edison, Alexander Graham Bell, Marie Curie, the Wright Brothers, and many others show how innovation happens because someone was not afraid to try something new. Trying new things can be undoubtedly daunting. The unfamiliar makes us nervous in a way that’s hard to describe. The act of leaving our comfort zone puts us in a vulnerable position, and leaves us with an onslaught of questions running through our heads. Are you being judged by your questions? Not moving forward in your career, business, marriage, or fill in the blank _______? It could be because you are not asking the right questions. You need to be good at asking questions.